For the second time since the title was created, WWE's United Kingdom Championship is set to be defended outside of the company. 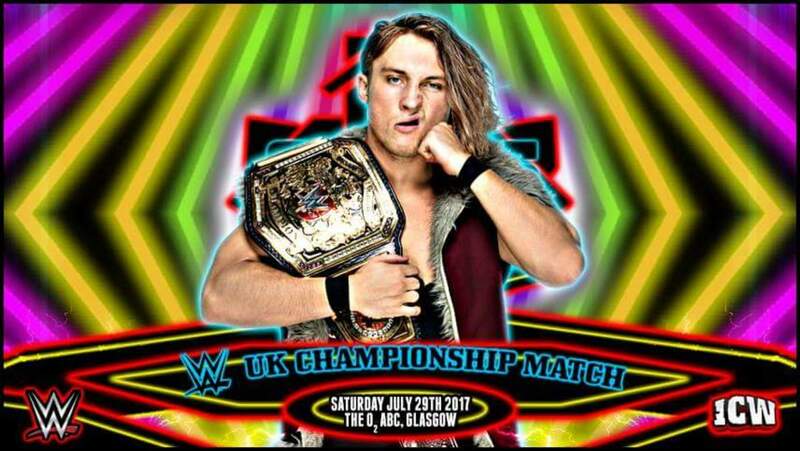 Insane Championship Wrestling announced today that Pete Dunne would defend his title on July 29th at the first night of their "Shug's Hoose Party 4" weekend of shows. Dunne's challenger will be decided at an ICW show prior to that, with WWE UK's Wolfgang facing the winner of a four-way (which includes Davey Blaze, Kenny Williams, BT Gunn, and Gabriel Kidd) in a number one contender's match. Dunne's match won't be the only WWE representation on the July 29th show, with it having been previously revealed that Noam Dar would return to ICW to team with Sha Samuels against Grado & Joe Coffey. The first time that the WWE UK title was defended outside of the company was during WrestleMania weekend earlier this year. When Tyler Bate was still champion, he put his title on the line against Mark Andrews at PROGRESS Wrestling's event in Orlando in March. This will be the first time that the title has been defended at a non-WWE show in the UK. Both ICW and PROGRESS have strong relationships with WWE. George Barrios (WWE's Chief Financial Officer) even mistakenly said last month that there had already been an agreement announced for events from ICW and PROGRESS to appear on the WWE Network. Dave Meltzer reported that those deals are in place, but Vince McMahon has to give the okay for them to become official.